From the International Center for Reiki Training, William Rand. Reiki is a Japanese technique for stress reduction and relaxation that also promotes healing. It is administered by "laying on hands" and is based on the idea that an unseen "universal life force energy" flows through us and is what causes us to be alive. If one's "life force energy" is low, then we are more likely to get sick or feel stress, and if it is high, we are more capable of being happy and healthy. The word Reiki is made of two Japanese words - Rei which means "a Higher Power" and Ki which is "universal life force energy". So Reiki is actually "spiritually guided life force energy." A treatment feels like a wonderful glowing radiance that flows through and around you. Reiki treats the whole person: Including body, emotions, mind and spirit creating many beneficial effects that include relaxation and feelings of peace, security and wellbeing. Many have reported miraculous results. Reiki is safe for all ages! Reiki is a simple, natural and safe method of spiritual healing and self-improvement that everyone can use. It has been effective in helping virtually every known illness and malady and always creates a beneficial effect. It also works in conjunction with all other medical or therapeutic techniques to relieve side effects and promote recovery. 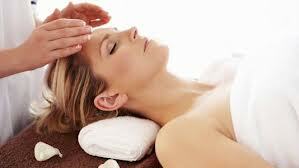 Reiki is used in hospitals and hospices around the world, as well as spas. Scientific studies have been done in the U.S.A. and published in medical and nursing journals. A simple internet search will bring up several articles on Reiki. While Reiki is not a religion, it is still important to live and act in a way that promotes harmony with others. Dr. Mikao Usui, the founder of the Reiki system of natural healing, recommended that one practice certain simple ethical ideals to promote peace and harmony, which are nearly universal across all cultures: Today don't be angry or worry; be grateful and work hard; and be kind to others. Thank you William Rand. He is the publisher of Reiki News Magazine. For more information, go to: www.reiki.org.